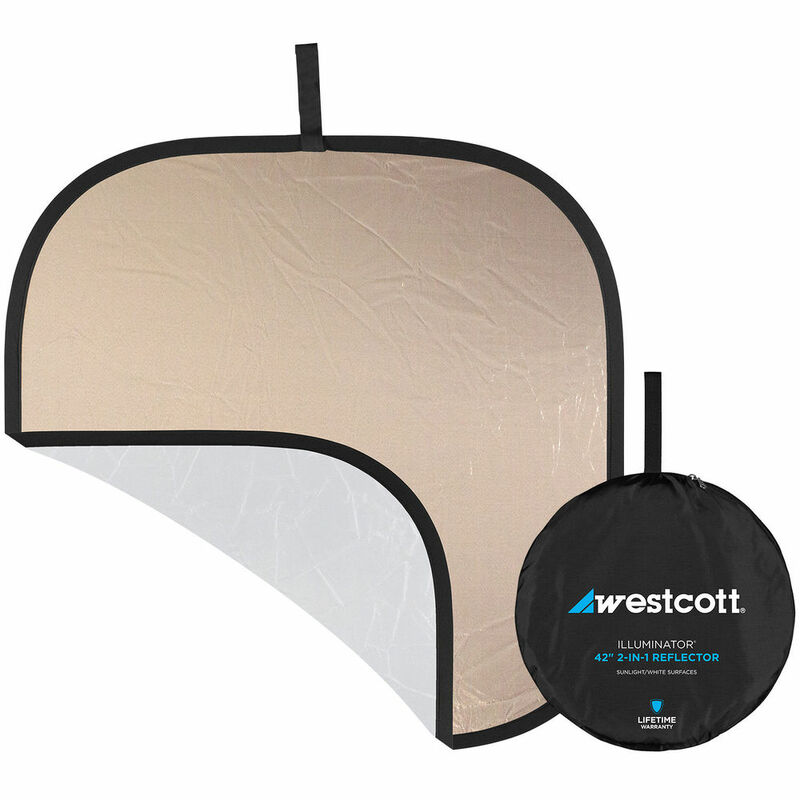 The 42" Illuminator Sunlight/White Reflector from Westcott is a great way to open up shadows and enhance your portraiture, macro, or product work. The reflector is reversible, with a white side to offer neutral fill light and highlights, and a sunlight side that combines silver and gold to produce warm highlights that are especially complimentary to skin tones. The reflector's double-riveted sprung steel frames have a limited lifetime warranty, open and close quickly, and easily fold down to approximately 1/3 their open size for compact storage within the included travel case. Box Dimensions (LxWxH) 15.5 x 15.5 x 1.0"